Is it just me, or did Dungeons & Dragons miniatures grow over time? Sometimes I run across miniatures that do not fit the scale. This entry was posted in Miniatures and tagged miniatures. Bookmark the permalink. Absolutely the scale on minis has gone up. I don’t mind so much with regard to monsters – since size can vary across any race of creatures. It is harder to justify with PC minis. 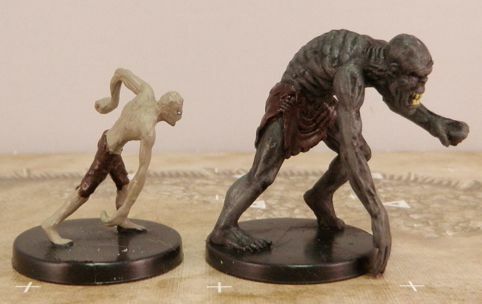 Some of the original Ral Partha minis are downright diminutive compared to newer lines, such as Dark Heaven.